Bernard Mallon served as the first principal (now referred to as the president) at what was then the Sam Houston Normal Institute. He wrote the first catalogue and it was issued at the opening of school. The mission of the school was "the thorough professional training of teachers for the common schools of Texas." Mallon selected the four faculty and the school opened with one building on a five-acre campus as a two-year institution. There were 74 students, all on state scholarships. His dream for Sam Houston had been to "make this my last and best work." Mallon had been an educator for 30 years, when at age 55 he died on October 21st, only eleven days after officially being named as principal. H. H. Smith was selected as SHSU's second principal. He was born in New Hampshire in 1820. He graduated from Bowdoin College and was licensed as an attorney, but chose to teach instead of practicing law. He was a president of Catawba College in North Carolina and a professor at the University of North Carolina in Chapel Hill. After the Civil War, Smith was teaching in Alabama and was solicited by the General Agent of the Peabody Fund for the South to open schools in Tennessee and Houston. He left his position as the Houston school superintendent to come to Sam Houston. Smith served two years. It is said he was reluctant to take the position. He stressed honesty and understanding as well as punctuality and energy. He felt "The teacher needs to understand man's entire nature to know how to develop it." Smith moved to Atlanta, Georgia where he was a columnist and did editorials for the Atlanta Journal. A donation may be made in President Hildreth H. Smith's honor to: The Hildreth H. Smith Endowment. Joseph A. Baldwin was named as the third principal of Sam Houston Normal Institute. He was considered an eminent educator and authored a number of pedagogical studies. He created seven departments of study for the Institute: professional work; natural and physical science; English and literature; vocal music and calisthenics; rhetoric, etymology, and physiology; and elocution, drawing, and penmanship. He felt that education should "teach men to relfect, to reason, and to decide for themselves." Hall was renovated to add a third floor (which has been removed) and Old Main was built. Baldwin resigned in 1891 to occupy the newly formed chair of pedagogy at the University of Texas (at Austin). Sources included the April 23, 1971 Houstonian. Henry Carr Pritchett was the first head of the Sam Houston Normal Institute to bear the title "President". He was born in Missouri in 1852. At age 26, Pritchett was elected as a teacher and co-principal of the Coronal Institute in San Marcos. After three years, he moved to Sam Houston Normal Institute as a professor of mathematics. The State Democratic Convention nominated Pritchett as the Superintendent of Public Instruction. The governor, Sul Ross, appointed him to the position, and upon Baldwin's resignation, Pritchett was named to the presidency. One of his proudest accomplishments was the construction of the Peabody Memorial Library. It was the first separate library building for any Texas college. He remained the president until his death 17 years later. The Fort Worth Record described him in May 1908 as "He was a high plateau in the world of education and in the vast reaches of human character." Joseph Lucien Pritchett, known as "Professor Joe" was the younger brother of Henry Carr Pritchett. Professor Joe was a professor of Mathematics at Sam Houston Normal Institute for 42 years. A visionary individual, Professor Joe, owned much of the property west of the University including the area where Sam Houston Museum and Park are located and "Pritchett Field" athletic center is built. Dr. Harry Fishburne Estill was named as the fifth president in 1908. Estill had been a student, and received the top honors in the first graduating class of Sam Houston Normal Institute. He has been the longest-serving president with a total of 29 years. The Sam Houston Normal Institute curriculum was expanded to four years in 1918 and the name was changed to Sam Houston State Teachers College in 1923. During Estill’s tenure, the university received full recognition by academic accrediting organizations and built several new buildings. In 1925, the school was admitted to the Southern Association of Colleges and Schools. In 1936, graduate programs were offered for the first time and the first dormitory, Belvin Hall, was built. Dr. Estill was the author of ground-breaking textbooks that were used widely throughout the South. After stepping down as president, Dr. Estill stayed on as the president emeritus and a history professor until his death on February 12, 1942. A memorial service was held for him at Old Main auditorium. One of the special events during Estill's tenure was a visit by First Lady Eleanor Roosevelt. The "Estill Building" was constructed as a three-story library and was named the Estill Library in honor of Dr. Harry Fishburne Estill. Charles Norton Shaver became the sixth president in 1937. Shaver was born in 1884 on Donahue Creek in Williamson County, Texas. He attended a one-teacher school until going to Corn Hill College. (His grandfather had been a trustee there.) He taught school for a couple of years. Then he received a scholarship (which was arranged by a state legislator) to attend Sam Houston State for a year. He dropped out and taught for two more years to earn the funds to come back to Sam Houston and earn a bachelor's degree. While a student, he roomed in the old home of General Sam Houston which was located in Smedes Valley. He served in the Texas Legislature from 1927 to 1931. He was the chairman of the Texas State Teachers Association legislative committee and was instrumental in establishing the Texas Teacher Retirement System. In 1937, Southwestern University, in Georgetown, conferred the Doctor of Laws degree on Shaver for his outstanding work in education. He resigned the presidency due to poor health, and died in Dallas four years later. Dr. Harmon Luther Lowman came to Sam Houston State in 1941 and was the president until his death in 1964. Lowman was born in 1894 in Staples. He attended Washington and Lee University in Virginia, then enlisted in the army on the second day of World War I. He attained the rank of first lieutenant. Afterwards, he taught school and finished his education with a bachelor's degree at Southwest Texas State Teachers College, and a master's degree from the University of Texas. He continued on with his education receiving a Ph.D. from the University of Chicago. Dr. Lowman was the first president to have an earned doctorate. The campus physical plant grew dramatically during his tenure as president. His political clout enabled the university to secure an air conditioning plant. This gave Sam Houston the claim as the first completely air-conditioned campus in the world. He secured Country Campus, which had been a World War II POW Camp, for only one dollar from the federal government. The physical plant of the school expanded rapidly during the Lowman presidency, especially in areas of residence halls and instructional facilities, and the enrollment exceeded 5,000 during the 1963-64 academic year. Dr. Lowman once said "I had rather be president of Sam Houston State than president of the United States." A donation may be made in President Harmon L. Lowman's honor to: The Harmon Lowman Endowed Scholarship. Arleigh Brantley Templeton, a native of New Waverly and a graduate of Sam Houston, succeeded Lowman. 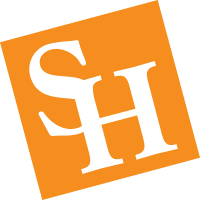 During the Templeton years, the State Legislature authorized another change in the name of the institution, to Sam Houston State College in 1965, and then in 1969, another change in name to Sam Houston State University. During Templeton's presidency, the programs in criminal justice, which would soon acquire national prominence, were developed. The physical plant investment of the school increased dramatically with the construction of a new library [Newton Gresham Library} and several other instructional facilities [Academic Building 1 formerly known as the "MFL" or Mathematics-Foreign Languages Bldg. and Smith-Hutson Business Administration Building formerly known as the Business-Economics Building]. When Templeton resigned in 1970, the enrollment had reached 8,602 and the University both in appearance and organization had departed dramatically from the normal institute era. Subsequently, Templeton served as president of University of Texas at San Antonio during the initial construction of the new campus and later as president of the University of Texas at El Paso. Elliott Toulmin Bowers was born August 22, 1919, in Oklahoma City. After a move to Texas, he graduated from Mexia High School in 1936. In 1937, Bowers chose to attend college at Sam Houston State Teachers College. While studying in college, Bowers was named director of music at Huntsville High School from 1937 to 1942. In 1941, he received his bachelor's degree in music and continued his studies, receiving his master degree in music one year later. Bowers served in the Air Force from 1943 to 1946 teaching meteorology and navigation and he also served in counterintelligence in the South Pacific for two years. He served as director of testing and guidance at Sam Houston from 1946 to 1951 and as director of the student union from 1951 to 1959. In 1959, he earned his doctorate in educational administration from the University of Houston. He served as vice president for university affairs and dean of students from 1959 to 1970. He served as acting president on two occasions: first, in 1962-64 due to the illness and subsequent death of Dr. Harmon Lowman; and again when Dr. Templeton resigned to become the founding president of the University of Texas at San Antonio. In June of 1970, he was interim president again, and he was honored with the permanent position in October of that year. Nine major facilities were constructed on the SHSU campus during Bowers' administration. They include (use of current names for each facility) the Teacher Education Center, University Theatre Center, George J. Beto Criminal Justice Center, Bernard G. Johnson Coliseum, Dan Rather Communication Building, Bowers Stadium and Field House, Lee Drain Building and Mall, Health and Kinesiology Center, and the Fine Arts Building housing the programs in Music. Dr. Bowers' priorities as president included academics, construction and renovation, faculty development, and student recruiting. While awaiting the final action of a proposal to rename Bearkat Stadium for Bowers, he was asked how he would like to be remembered, he puffed a couple of times on his pipe and replied, "That I cared." Dr. Bowers was designated President Emeritus, and the football stadium was named in his honor. A donation may be made in President Elliott T. Bowers' honor to: The E. T. Bowers Honors Program Endowment. Martin J. Anisman assumed the presidency on September 1, 1989. He had previously been the VP for academic affairs and the dean of faculty for Springfield College in Massachusetts. Highlights of his presidency include a program of on-going planning and evaluation to assist in the improvement of teaching, research, and service with the University's first Strategic Plan completed in June of 1992. His academic emphasis include increased admissions standards, a strengthened Academic Honors Program, and enhancement of basic skills and retention of students through the creation of an Across-the-University Writing program and a Learning Assistance Center. The increase in scholarships and private support for the University were testament to his diligence in nurturing financial support for excellence programs. His administration marks the evolution from a state-supported to a state-assisted university. Bobby Kees Marks came to Sam Houston State Teachers College in 1960 as an instructor of management. He was the dean of the College of Business Administration for 15 years, and then served 11 years as VP for academic affairs. He was appointed interim president in October 1995 and was named SHSU's eleventh president on June 4, 1996. His primary strategic goals dealt with the use of technology for instructional programs, student retention, fund raising and international activities. During Marks' term as president, the University added nine undergraduate degree programs, 4 master's degree programs, and two doctorates. The added doctorates are the most significant academic accomplishments for SHSU in over 25 years---since receiving the first Ph.D. in Criminal Justice. He was named as President Emeritus, and the Administration Building was renamed in his honor as the Bobby K. Marks Administration Building. James F. Gaertner became president on August 21, 2001. He previously served at the University of Texas at San Antonio in various capacities, including dean of the College of Business and interim provost. He was a member of the faculty of the University of Notre Dame and directed their London MBA program in England. He received his BBA and MBA from Sam Houston State University before earning his doctorate from Texas A&M University. Among the many significant accomplishments of his presidency are record-breaking enrollment increases totaling 30%. During his tenure, the university added fourteen new master's programs and two new doctoral programs while achieving Carnegie Doctoral Research classification, which placed it in the top 7% of all institutions of higher education in the United States. He presided over more than $275 million of construction projects, and the university successfully completed its first capital campaign in history, a $50 million effort that raised more than $60 million. He was named President Emeritus in August 2010, and the James and Nancy Gaertner Performing Arts Center was named in his and his wife Nancy's honor.